(Amanda:) This last weekend we did another one-nighter at Blue Ridge campground, near Wrightwood. Last time we tired to camp up there I was about 38 weeks pregnant and was not very excited about the bumpy 3 mile dirt road that lead to the campground (didn't seem right!). 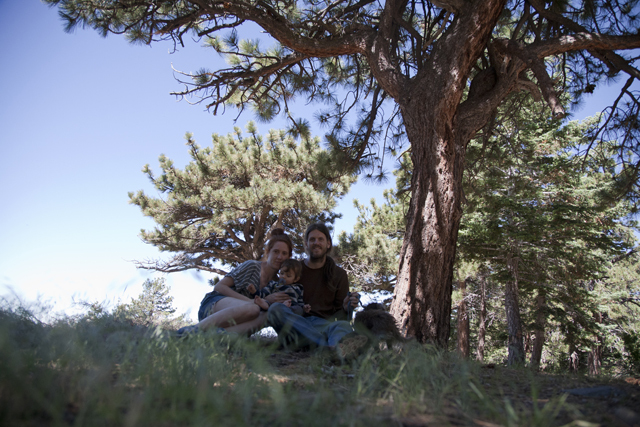 I made Justin take me to another near by campground that had easy access (Table Mountain). But I am no longer pregnant and am ready for the road! We showed up on a Saturday morning hoping to get a spot (they don't take reservations and there are only 7 spots). Much to our surprise the campground was only half full! A couple of day hikers parked in the campsites (annoying!) but they weren't staying for the night, so it seemed like there weren't many open spots, but there were! This is the campground, it's pretty level so you can see everyone, but it's so quiet and peaceful! The campground was "you-could-hear-a-pin-drop" quiet. The loudest noise was coming from little JW. Such a different story then the last two campgrounds we went to, and so refreshing. The only non-refreshing part of this trip was the fact that JW was having such a hard time. He missed a nap on Saturday and was thrown off for the rest of the trip. He was up a lot that night, and because I didn't want him crying in the oh-so-quiet campground I quickly nursed him each time he woke to get him to fall back asleep, and once I start that little JW ends up waking every 30 mins, so painful! I am going to try not to let this one bad night scare me from camping, you win some, you lose some. We've had plenty of good nights to make up for it! 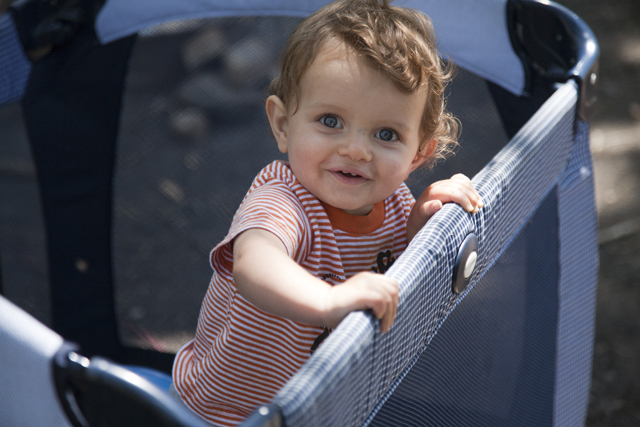 The pack-n-play is a must for camping! I don't know what else JW would do beside crawl around and eat dirt all day. I let him do that for a little bit (and ohmygod does he get filthy!) but not all day. View of Mt Baden Powel on our hike. 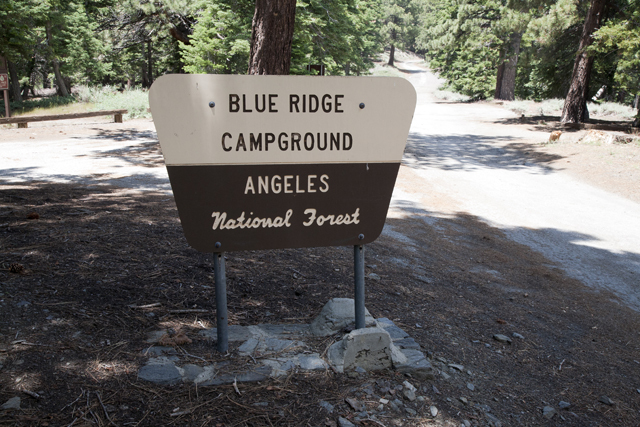 (Justin:) 'Blue Ridge' is by far one of our favorite campgrounds in the Angles National Forest. This gem sits atop Blue Ridge, just out of bounds of the Mountain High ski resort near Wrightwood at an elevation of 8,000 feet . One of the great perks of this camp is that it's free, although vehicles must display a Angles national forest adventure pass. There are vault toilets and fire rings and tables are provided at each sight. 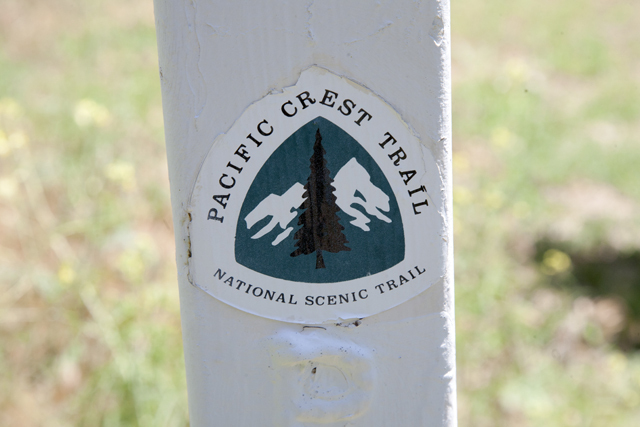 The small campground, only eight sites, (although we could only find seven) lies in a pine grove in a flat area atop the ridge with the ski resort to one side and a deep canyon to the other. Blue Ridge slops down into the West Fork of the San Gabriel river, same canyon that Inspiration point over looks, making it a great place for specular views of the Angles Crest high range. 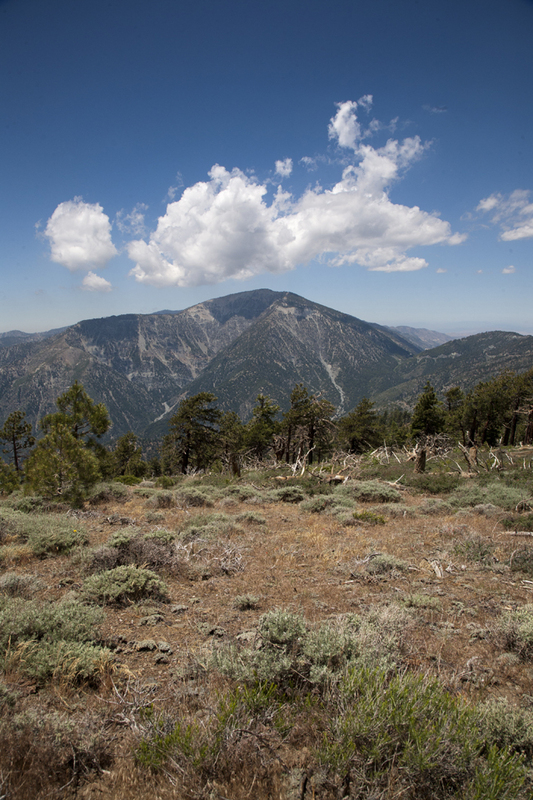 Old Baldy, rugged Iron Mountain and Mount Baden Powell lie with in view of the campground. 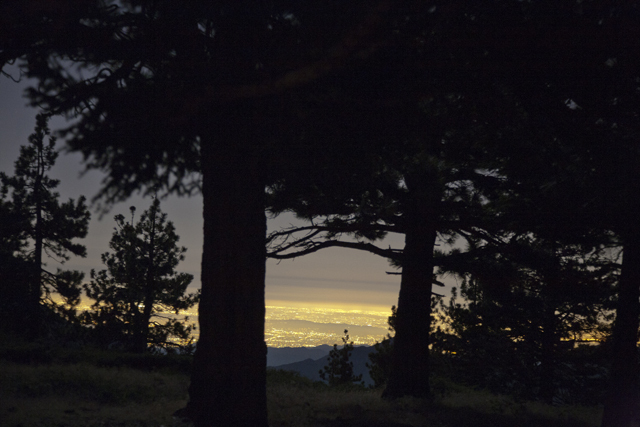 At night the bustling San Gabriel valley can be seen in the distance on the other side of the range glittering with all its lights. Bird Watching is amazing at and around this campground. 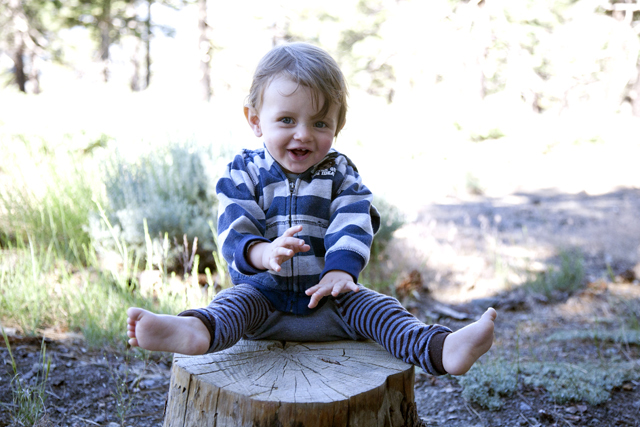 One of the great things about having a baby in camp is all the extra time we spend in camp, making it great for bird watching. I have recently found great joy in bird watching camping while sitting with JW for a day or two's time, we have been able to see up close what goes on and it's been a real treat. At Blue Ridge we saw Mountain Chickadee in camp and just outside the camp lies a large open chaparral covered area where the violet-green swallows fly by day and as dusk falls the bats take flight. Both very awe inspiring to watch. On our hike along the PCT we spotted some Hairy woodpeckers also really fun to watch. One bird that I really want to see is the Mountain quail and i believe I might have seen one on my morning hike with JW. I saw the bird for a split second but it was about the same size as a Mountain Quail and what looked like a blue chest and head over a white striped brown and gray body. Next time I'll walk with lighter steps and keep my eyes peeled! 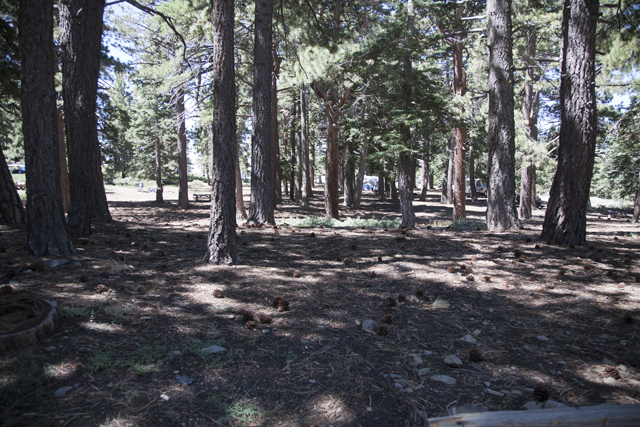 The campground was very quite compared with others we have visited in the Angles National Forest. The people in the camp all seemed to want to enjoy the peaceful setting and tried their best to keep it that way, maybe it had to do with the 3 miles of dirt road that it takes to get there. With all the peace, great views, hiking and birdwatching we really enjoyed ourselves at this camp and will defiantly be back again. Travel Interstate 15, take Highway 138 west. 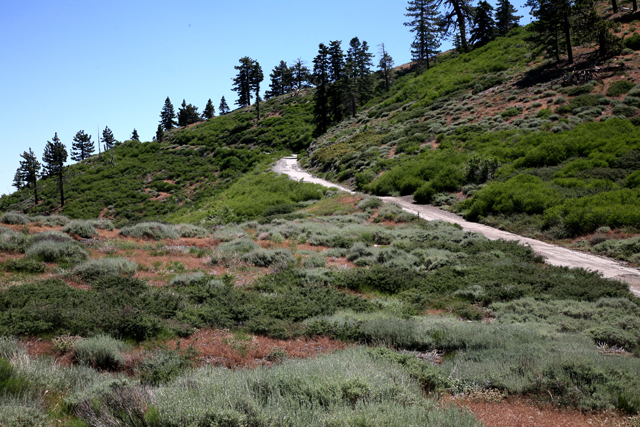 Turn left (west) on Angeles Crest Highway and drive 5 miles to Wrightwood. 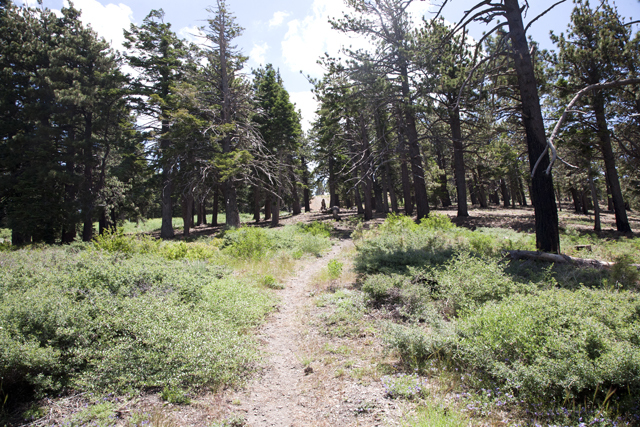 Continue for 3 miles to Big Pines. Bear left and continue on Angeles Crest Highway for 1. 5 miles. Turn left (opposite Inspiration Point) on Blue Ridge Road and drive 3 miles to the campground. this looks so awesome!! the last time i tried to camp at BLUE RIDGE it was covered in ice and snow...and i love your patch-work panoramic picture...piecing it together like that gives it a great feel!! Love this new blog! I have been camping near Wrightwood most of my life but since camping is now mostly limited to overnights I have always stuck close to the familiar. This is going to open my mind to some new ideas. Thanks for sharing! Thanks Sdillondesign! if you have any ideas on places we should check out let us know! We are always looking for campground ideas!